The 1450-mile-long Colorado River begins in the Rocky Mountains and wends its way to the Gulf of California, creating the Grand Canyon along the way, and providing water to some 40 million people. The amount of Colorado River water promised to users is far more than actually flows between its banks, and that amount is dropping. 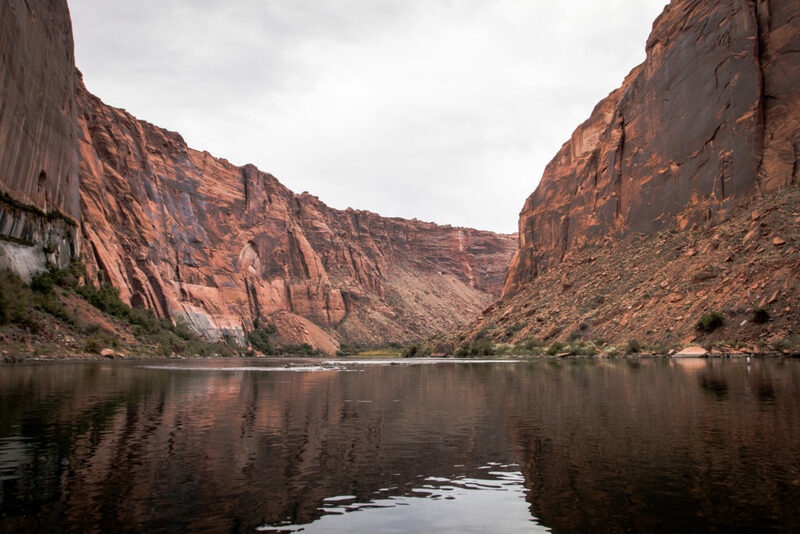 An unrelenting drought since 2000 has resulted in the water levels of the two largest reservoirs of Colorado River water – Lake Mead and Lake Powell – being at all-time lows. Lake Mead, just outside of Las Vegas, is the reservoir of Hoover Dam, which provides power for millions of people in Southern California, Nevada, and Arizona. The last time Lake Mead was full was in 1983. It has slowly declined and now is 40% full. If the lake level drops another 7 feet to 1075 feet above sea level, it will trigger a Tier 1 declaration, mandating cuts to water allocations to Arizona and other states. If the level drops to 1050 feet, it would reach Tier 2 at which point Hoover Dam would have to stop generating electricity because water levels would be too low to flow through it. If the lake level drops all the way to 895 feet, it would be below the level at which water can be piped out of it. This is known as the “dead pool”. These scenarios are no longer doomsday fantasies. Water managers in the Southwest see the writing on the wall and are busy making contingency plans and developing ways to use less water from the Colorado River. The booming city of Phoenix in particular is hard at work finding alternative ways to provide water for its millions of citizens. On the Colorado, drought in the new normal. Photo, posted October 24, 2016, courtesy of Sharon Mollerus via Flickr.